We had some special visitors over the weekend. Our niece, her husband, and their little guy made the drive up from Texas arriving Thursday afternoon. That’s right folks, Tsegaw came to visit!!!!! It was a jammed packed weekend of visiting, being entertained by our children, and getting together with some other adoptive families for a visit to an orchard and pizza place. The most special part of the weekend though, was giving our kids the opportunity to spend time together. Lili enjoyed giving Tsegaw a lot of attention and Tsegaw ate up the attention. Naomi thought is was great fun having someone closer to her age to hang out with and Tsegaw was more than happy to follow Naomi around. Unfortunately, the visit is now over, but the week ahead is going to be busy, busy, busy. I will try to post a little while we are gone, but until then I hope you’ll enjoy some pictures from our weekend. 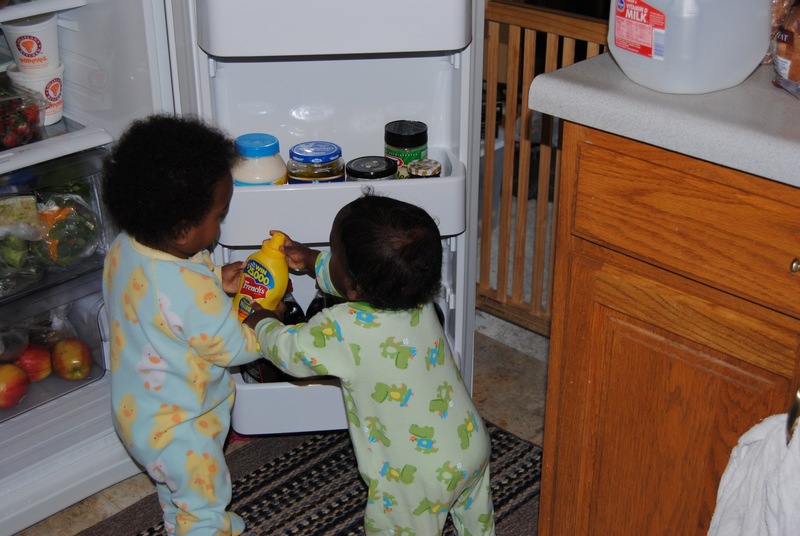 Wonder what yummy things we can find in here? Hey Naomi, this yellow bottle of stuff looks good! Yeah Tsegaw, that does look good. 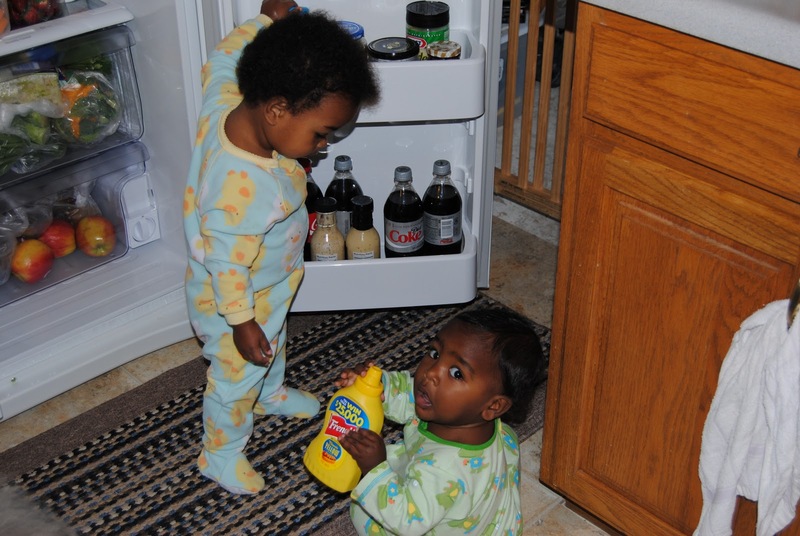 Okay, Naomi it’s my turn to hold the yellow bottle! 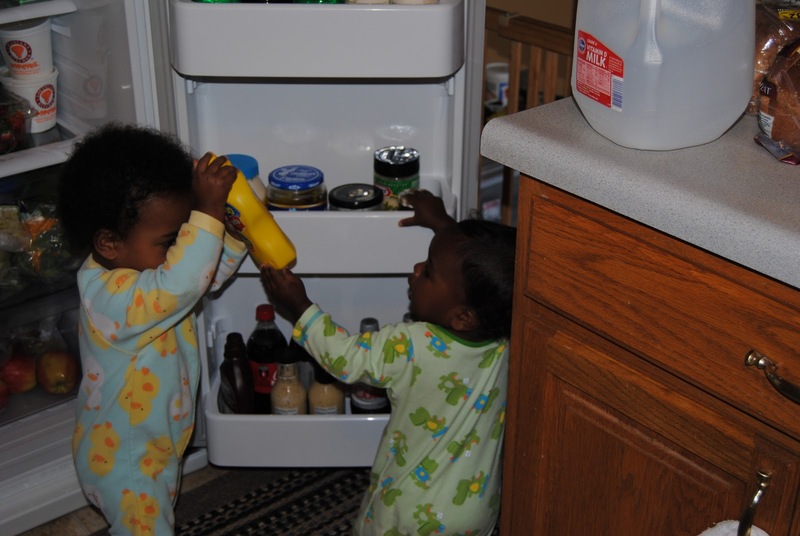 No Tsegaw, it’s my turn to hold the yellow bottle! Okay Tsegaw, you can have it. 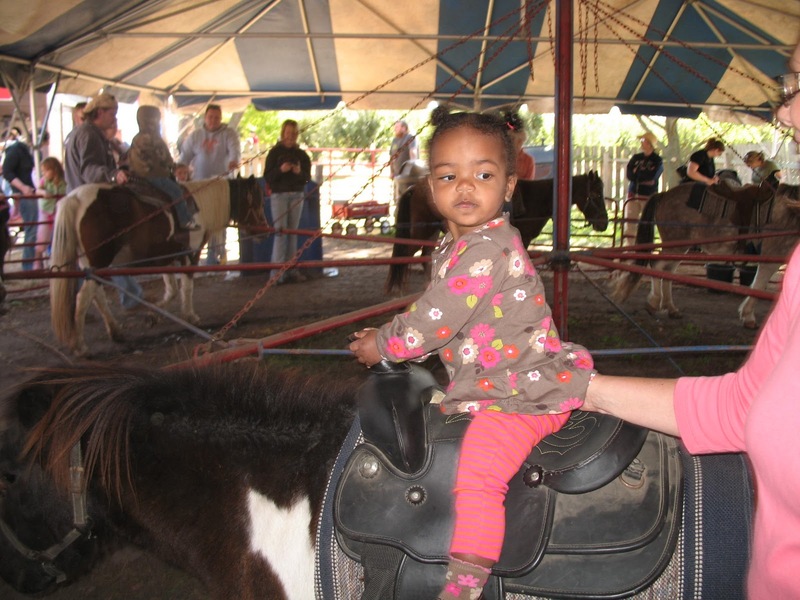 Look, I’m riding all by myself!!! 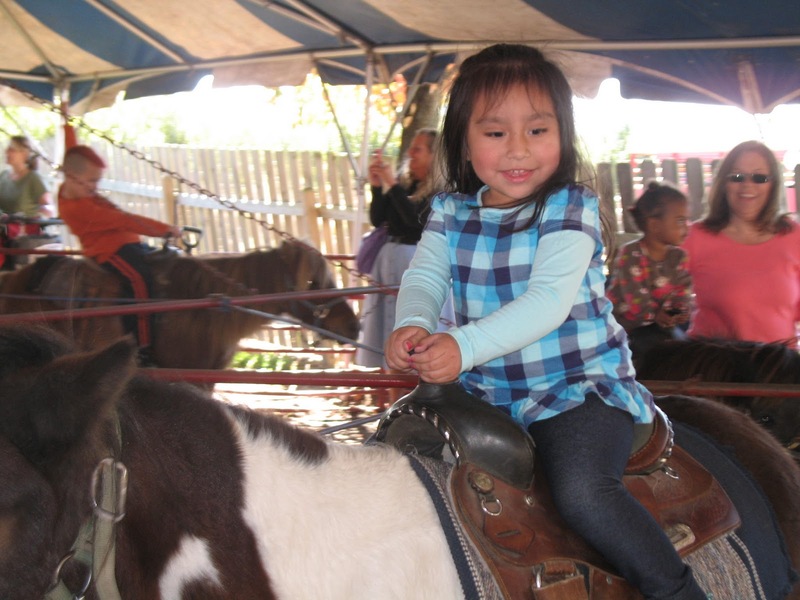 Princess Naomi riding in on her pretty pony. that is an amazing picture of Tsegaw. I love to "catch up" after not reading your blog for a few weeks! great pictures. It was great seeing you guys this weekend. 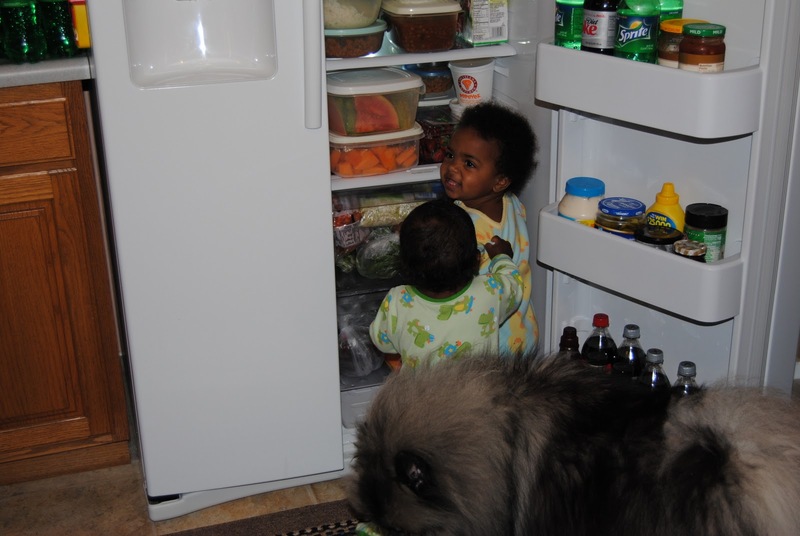 It was also great to meet your niece and nephew and Tsegaw. Have fun in California. I am so glad you got to see each other and that the little ones got to spend time together. It does sound like a busy week but a fun week. Enjoy! Have an awesome time in California! 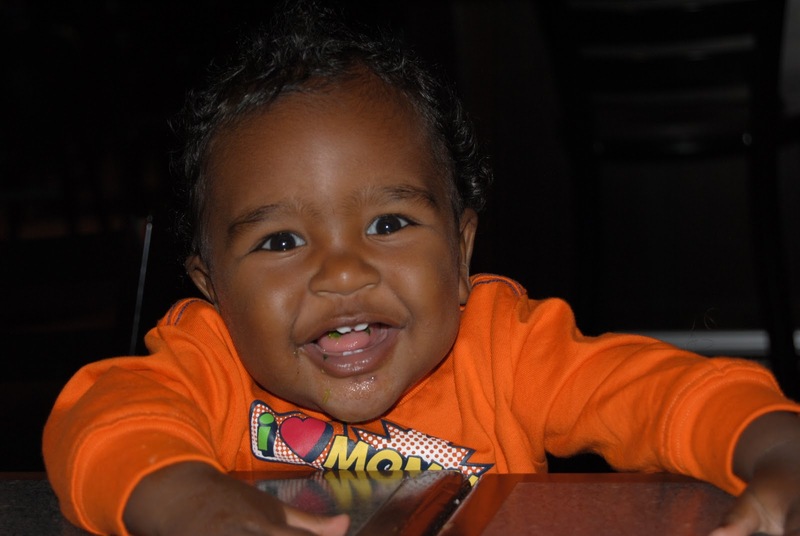 Love the pictures; as always you have some gorgeous girls, and Tsegaw is one seriously adorable little guy! !